Core to every hotel business is a robust and cost effective guest wired/wireless network and internet service. With High Speed Internet Access (HSIA) now a key differentiator for the majority of the travelling public in their choice of hotel accommodation, htm have developed a wealth of experience and knowledge surrounding this key hotel technology in order to provide consultancy, superb service and on-going 24/7 guest & hotel support. The big change in recent times is the understanding that this WiFi network can now be used as a replacement for DECT systems (Voice) and this means that a different set of rules apply when constructing a new WiFi network, an area that traditional WiFi installers in hospitality could struggle to understand. Rather than spend money on maintaining old DECT systems, why not spend this money on improving WiFi and then using Smartphones or modern WiFi Cordless phones to roam the building. Samsung, for example, has perfected a solution for using WiFi when inside the building and seamlessly transferring to the GSM network as you walk out of the building…see our section on “Wireless Voice / Mobility”. Working with partners that offer tried and tested products as well those pushing the innovation boundaries, htm are well-equipped to design and offer a solution, developed with a robust suite of products. From the design of a solution to its delivery, you can have peace of mind in htm’s engineering and project team to help your business needs. With a decade of experience in wireless technologies, we have a capability to understand wireless coverage across the most challenging of environments. Our skill in the design and placement of access points to maximize coverage and to ensure maximum throughput of data has been a key factor in our high client retention over many years. This encompasses the use of sophisticated WiFi survey planning software to produce heat-maps of WiFi coverage. Any guest wireless service relies on a number of key factors, these being Network, Internet Gateway & Access Point Technology, as well as guest support & on-site services. At htm we have a longstanding relationship with ANTlabs for their leading Internet Gateway product (InnGate). Our decision to use this as a core portfolio item has been part of our wireless solution for many years. With the need for greater flexibility to “dynamically deliver” a hotel’s incoming internet bandwidth and to then “dynamically deliver” guaranteed levels of bandwidth for key areas or clients, only gateway products that have a high Quality of Service (QoS) capability will be able to deliver this. ANTlabs also have an optional Multi Quality of Service module that allows for the ultimate in bandwidth allocation. This allows for some guests to be given “Guaranteed” levels of bandwidth. Working with each client, we design and implement a guest portal page, reflecting their brand and property, allowing each guest to connect via a chosen method whether complementary or through chargeable means with the addition of guaranteed or fixed bandwidth options. Central to htm’s relationship with our clients is the support that we deliver for each of their customers across each of their properties. Using one of the largest hospitality call centres in the world, equipped with call centre technology to take guest enquires 24/7 with additional 2nd & 3rd line UK support for more complex guest issues, htm have all aspects of support covered, including the ability to provide hotels with call recordings and a multitude of reporting tools. Using our core service skills and site information, our agents can help guests resolve local technology issues in a speedy fashion to ensure guest satisfaction. When an issue requires on-site support, all our engineers are multi-skilled in their capacity to resolve both voice & data technical problems. Depending on the service contract chosen, htm can be on site in 4 hours attending to issues and keeping site contacts informed of progress and resolution. htm take service seriously and have made significant investment in the development of a Client Dashboard which allows each of our clients to view their site/s to see current availability, bandwidth usage and revenues generated. Please ask us for a demonstration of this service offering. htm are here to specify, evaluate with you, then install, support and provide future technology advice so you stay at the front of your guests’ minds when they seek to book with you next. The key to successful internet and telephony services for any property is the network connectivity being delivered to support these services. With such a crucial area, clients have often looked to make their own arrangements concerning this and for htm to connect on to their network. This we are happy to do but htm can, and do, support customers for their network services and we can provide a wide range of solutions including business broadband and DSL, high availability network connectivity (100 Mb – 1Gb), SIP trunks as well as traditional lines and minutes. Working within the hospitality market, htm have found specific niche vendors a better route for services, capable of delivering higher levels of service quality and high availability network connections than the larger, more obvious “national or international companies”. Most importantly, htm have used our preferred routes as they have guaranteed internet breakout bandwidth levels with minimal bandwidth contention on shared services. Our partners have Data Centre Hosting capability, Failover and Disaster Recovery (DR) options available to us. 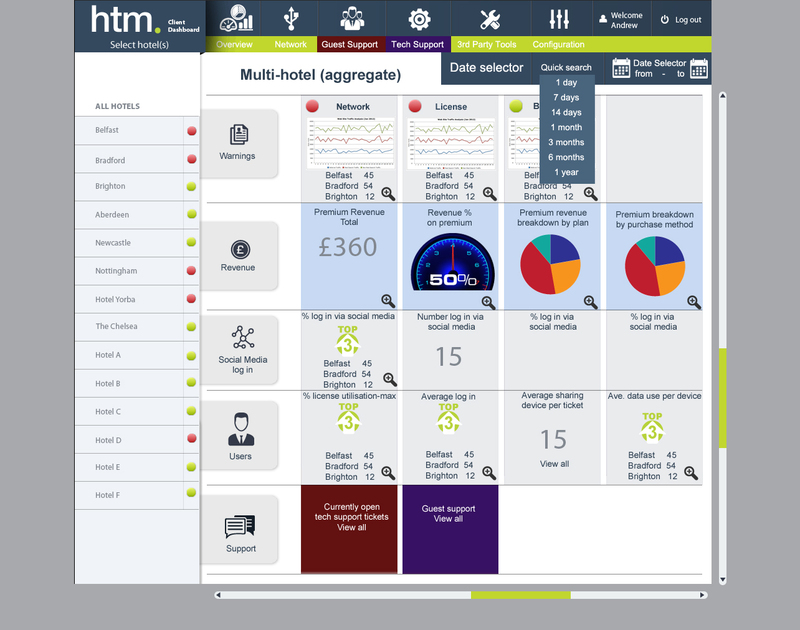 The 0800 / 0845 / 087 or 0330 numbers offered within the htm solution suite can provide your hotel, group of hotels or chain with a unique telephone number. A way to allow your customers or prospects to call you at no charge or for a small premium from any telephone in the UK, using the 08 or 03 pre-fix numbers. You may have such numbers already in use, or simply be seeking a new premium line for your hotel guest support line to generate an additional incremental revenue source. One independent hotel client ordered one number, just to provide an added value 0800 fax service for their key clients. – a simple way to offer exclusivity and a real hotel guest differentiator. To enquire please click here. htm offers you the chance to review your hotel and guest use of the telephone, tailoring a telephone, SIP or broadband tariff to best fit your needs. htm review this annually with you to ensure that you scale up or down as required. One example which interested one client was to set a guest tariff to include the first 10 minutes telephone talk time free, reduced long distance rates and an improvement in the internet access bandwidth. The solution was provided by one provider and saved just over 18.0% on their existing total charges. It could be argued that this is the area where hoteliers have not been mindful of the impact of technological change,1308 Cable,Cat 5,Coax, fibre and in some hotels Cat 6 cable networks now exist side by side. There are no cheap low-cost solutions when it comes to the basic infrastructure of your hotel. Changes in Franchise Standards, demands to supply the latest Wi-Fi, Guest Internet and other services all place a lot of pressure upon the hotel owners or managers as they try to remain competitive. Provide flexibility, including fibre cabling where possible to enable the hotel to construct, in minutes, impromptu networks that can handle voice, data, video and other media at any desired speed. Address changes in guest use whilst generating economies for the hotel through integrated networks, reduced space or improved work processes. Ensure network infrastructure longevity as hotel guest bandwidth demands increase to 100 megabits, or for an additional gigabit and eventually even 10-gigabit transmission speeds. Overcome distance issues at some hotels without having to re-cable in the future, from a meeting room 300m away to a floor riser on the 25th floor. Satisfy the future changes in hotel Internet reservations, web based bookings, internal administration and mobile working. htm will work with you and your management team to discuss the implications of your current network capabilities and issues, the use of copper, Cat5e, Cat6 and fibre networks and your future needs. This is then encapsulated into an agreed structured cabling plan. The plan may call for a complete replacement of your cabling network, it may just require htm to fix current issues and work to an agreed support contract, working in stages because of the scale of the work involved. Mapping out and updating the patch panels in the communications room to reduce support calls. Improving staff working practices by developing new colour coded conference and banqueting patch panel system and enable them to sell incremental services. htm has an in-depth understanding of hotel data and telecommunications cable and riser management. We ensure that the hotel guestrooms and administration areas have secure and reliable communication, data & telephone extended demarcation points. Hotels find value in htm being the single point of contact and conduit between the multiple technology services providers. We can if required, provide ad-hoc or regular on-site hotel visits as required. Applying our knowledge, experience and understanding of hotel buildings yields lower costs, a faster turn-around time, less hassles and fewer problems for you. Our hotels like the idea of having one company accountable for their buildings’ communication and data systems. It helps knowing who to call and having the confidence and trust in them to work well in sensitive guest bedroom areas, where discretion is extremely important. Improved quality of service ( on all 1308, CAT5e, CAT6 and Fibre networks) . Scalable infrastructure which addresses changes in technologies and guest needs. htm have made a decision to only support SMART TV solutions and not to engage with Pay TV models. Having worked within the hospitality market for many years and having seen the changes in the TV space we believe the marketplace is in a stage of major change, especially given the use of personal devices and tablet technology. This move reinforces the need for enhanced higher bandwidth not Pay TV solutions. Instead we believe that a Freeview channel list, together with some premium Sky and foreign channels fulfill the majority of customer needs. To this end htm have a capability to deliver leading screen brands and through our partners can deliver the TV channels you need. The VTech hospitality contemporary range of telephones has been showcased by htm as our preferred manufacturer of choice for handsets. Its broad selection of contemporary designs, classic styles, analogue and SIP phones provide customized and reliable communications solutions for hotels, resorts and conference centres. Its continuous pursuit of innovation has allowed it to deliver key differentiators to the hospitality market, such as antibacterial plastic, battery back-up technology and Energy Star® qualified products. For more information, please visit www.vtechhotelphones.com or simply contact us. htm, like many other telephone vendors, have seen the evolution of roaming related devices in the industry. Deployed by hoteliers as a means of keeping key staff connected for maintenance, housekeeping and management, the use of paging and DECT related products is well known. With the advent of SMART mobile devices and convergence of devices onto telephone systems using internet based wireless networks and their access points, the capability to deliver Voice over WiFi (VoWiFi) is now a cost effective proposition that every business should consider. At htm we have embraced the innovative work undertaken by Samsung in their delivery of a single entity in the form of a “Technology Eco System” delivering fixed telephony and mobile communications over a Samsung wireless infrastructure. One network, delivering all your communication needs across the property. And when you step outside, your mobile moves seamlessly onto your chosen airtime provider network thereby maximizing internal and external mobile hardware and minimizing cost of both devices and call charges. Every hotelier today sees meetings and conference (MICE) solutions as a core revenue stream for their business. Meetings and Conference attendees are now a more sophisticated group in their business requirements extending far beyond good food and beverage and nice surroundings. Technology is now a key discussion topic for most meeting and conference organizers and whether it is for 10 people or a 1000 attendees, technology, and in particular quality internet connectivity, is a prerequisite for most people. At htm, our knowledge of internet access and dynamically managing the provision of bandwidth across a property is second to none. Our capacity to facilitate a shared service that apportions the “right” guaranteed level of bandwidth for each event whilst still delivering acceptable service levels for guests is a skill that we pride ourselves on. We are here to help with this core element as part of our HSIA managed solution or as a separate service offering. The potential disruption to a hotel caused by a communication or technology breakdown, the call down to the Front Desk by an irate guest and the subsequent feedback via social media are all events that no hotelier wants to experience. At htm, our service, support and account management capabilities have all been contributors cited by our clients as reasons for remaining with us. Our friendly team place you at the centre of our business and linked with our technical knowledge and back office IT systems, we are here to help when things don’t go according plan, as we put it Delivered, Supported, Reported. As part of any service or solution delivered by htm, our virtual team of project managers, account managers and installation engineers work towards an agreed customer goal and key installation criteria with you. On competition of a project, the documented service plan is handed over to our service team to consolidate this into our service systems and more importantly our Client Dashboard. One of our projects for the last 2 years has been to develop a “Client Dashboard” that gives our clients access to statistics and general information on all the systems we support / solutions we are managing. This covers all technologies such that you can see all your services and systems through one portal. This clearly only applies to systems we support and systems that are new enough for us to be able to extract data. As you can see from th example below, you would be able to see data and reporting on all our general Service Desk, HSIA Gu:est Support Desk platforms along with SNMP charts to instantly view the status of any IP device on your network. 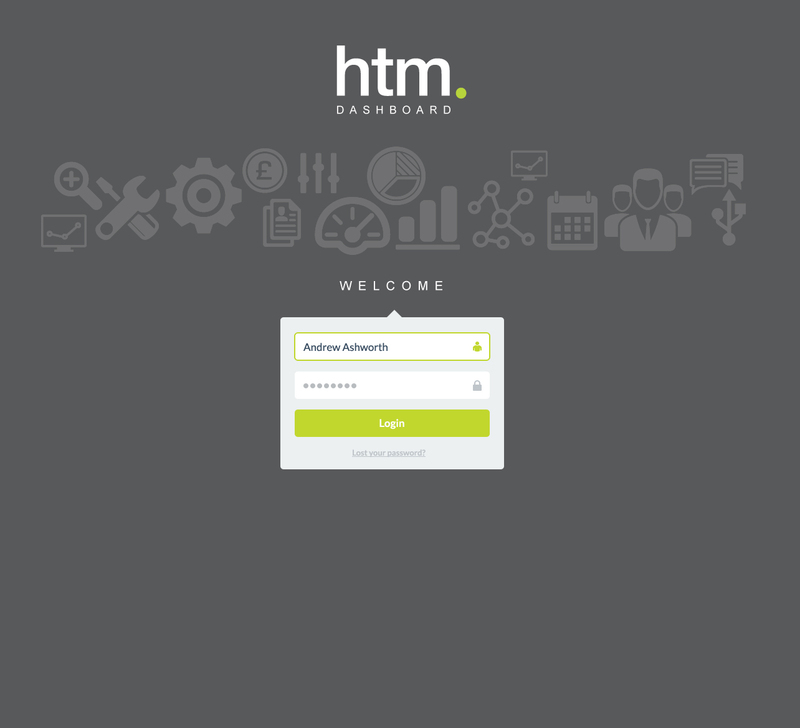 Whilst some companies offer similar services, htm is unique in the breadth of products we cover under a SINGLE Dashboard. htm can design a service contract around your individual business needs, but our standard, non-Guest HSIA, offering with critical failure coverage is our primary service which supports the majority of our hotel clients with Mitel and Samsung telephony and Meteor call accounting and voice mail. Whether you’re in central London, Dublin or Aberdeen, htm standard hardware and software support maintenance contracts allow us to help keep your business operational. 15 minutes per site per day (fixed, not cumulative) free telephone system remote programming for moves or changes. Reduced engineer on site response times than those normally contracted. Engineer on site for key conference, contracted out to event organizer for VoIP and Wi-Fi set-up and support. The use of leading edge technologies from Samsung, Ruckus and ANTlabs means we can assure you of first time Internet connectivity rates comparable with the best of the global guest Internet providers. htm realize that with the diverse range of devices being brought to a hotel by a guest, there are always reasons why a guest may need to make a support call due to issues getting on line. This is why our HSIA Guest Support comes with a high quality offering as standard, usually contracted over a period of three years. Most faults are fixed remotely, however when necessary, we will, as you would expect, send an engineer to your hotel to fix the problem. htm’s Network Operating Centre (NOC) monitors the broadband connection to the hotel constantly to minimize potential disruptions to the guest HSIA service and report any fault to the service provider, then update the hotel (usually before the hotel realises it has a problem). All information pertaining to calls, issues and bandwidth availability, as well much more, is delivered onto our Client Dashboard for you to review as part of your IT management tools. Billing rate changes and programming for marketing and sales campaigns, free for 30 minutes, free for visiting VIPs – it can all be done. Engineer on site to support your conferencing and events staff at key conferences (subject to satisfactory notice).